Long before the successful The Lord of the Rings films, J.R.R. Tolkien's creations, imagination, and characters had captured the attention of millions of readers. But who was the man who dreamt up the intricate languages and perfectly crafted world of Middle-earth? Tolkien had a difficult life, for many years: orphaned and poor, his guardian forbad him to communicate with the woman he had fallen i… n love with, and he went through the horrors of the First World War. An intensely private and brilliant scholar, he spent over fifty years working on the languages, history, peoples and geography of Middle-earth, with a consistent mythology and body of legends inspired by a formidable knowledge of early northern European history and culture. J.R.R. 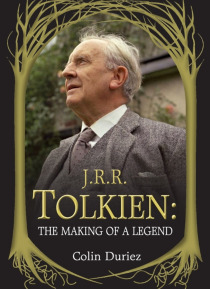 Tolkien became a legend by creating an imaginary world that has enthralled and delighted generations. This delightful and accessible biography brings him to life. Colin Duriez has appeared as a commentator on DVDs of Peter Jackson's The Lord of the Rings, and BBC television's The Worlds of Fantasy. He is also the author of The Inklings Handbook (with the late David Porter), J. R. R. Tolkien and C. S. Lewis: The Story of Their Friendship, and Tolkien and The Lord of the Rings, and has contributed to definitive reference works, The Tolkien Encyclopedia and a number of other tomes relating to Tolkien.